2018 -2019 is The Cricket in Times Squar​e! Thank you to all who attended our Family Learning Night! It was a fun night of ​The Cricket in Times Square activities! If you have a photo of your student or family reading Cricket in Times Square ​or from Family Learning Night, please email it to bhristov@min201.org for inclusion in our Photo Gallery on this website! 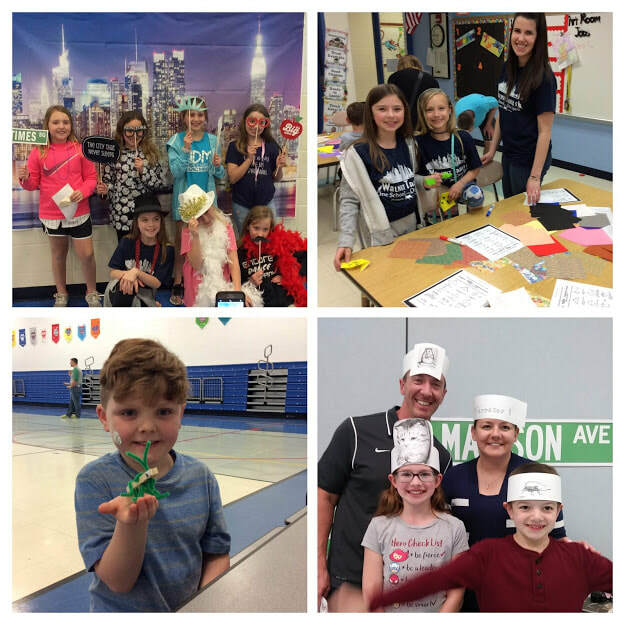 Many extension and enrichment activities that go along with our book are popping up around our school...Check out our Photo Gallery tab for pictures. The picture graph measures accurate trivia question responses. A trivia question is asked after each chapter at school. A special thanks to Mrs. McCann for painting our train. Thank you Ms. Cummins for designing our shirt logo! in character, especially our cricket, Mrs. Lauth. We were so happy to see the students excited about the program! This Newbery Honor Book tells the story of Chester, a cricket from Connecticut, and his friendship with a little boy named Mario, a mouse named Tucker, and a cat named Harry in New York's Times Square. When Mario's parents are faced with money troubles, the friends try to come up with a plan to save the family's business. Readers will enjoy this comical tale of NYC life and the devotion shared among friends.